WEDNESDAY, April 20, 2016 (HealthDay News) -- People with cancers of the colon, breast or prostate may have better survival odds if they use low-dose aspirin, a new research review suggests. Looking at 47 previous studies, researchers found that, on average, colon cancer patients who took a daily aspirin were about one-quarter less likely to die of the disease, versus non-users. Death rates from prostate and breast cancers also tended to be lower among aspirin users, though the connection was weaker. However, experts stressed that the study does not prove aspirin can help treat the cancers. The findings, published April 20 in the journal PLOS ONE, are based mostly on so-called observational studies. That means researchers tracked the outcomes of cancer patients who happened to use low-dose aspirin and those who did not. "There could be many differences between those two groups of patients," said Eric Jacobs, a researcher with the American Cancer Society who was not involved in the study. For instance, he said, people sometimes have to avoid aspirin when undergoing chemotherapy -- and the outlook for patients on those chemo drugs may differ from that of other patients. In other cases, Jacobs said, people who had been taking aspirin to prevent a heart attack may stop if they are diagnosed with advanced cancer that has a dim outlook. The studies in the review tried to account for differences between aspirin users and non-users. But researchers can never weigh all the variables, Jacobs explained. So clinical trials -- where patients are randomly assigned to receive a treatment or not -- are considered stronger proof. And there are trials underway to test the effects of using aspirin during cancer treatment, according to Jacobs. "We need to wait for the results of those trials," he said. Since aspirin is readily available and cheap, some cancer patients may not want to wait. But, Jacobs said, aspirin also carries risks, such as gastrointestinal bleeding, and it could potentially interact with some cancer drugs. "So before you use aspirin, talk to your doctor, who knows what drugs you're taking and knows your medical history," he advised. Both your primary care doctor and your oncologist are key players in this "critical" decision, said Dr. Sumanta Kumar Pal, co-director of the Kidney Cancer Program at City of Hope in Duarte, Calif. The general doctor can help assess your bleeding risk, while the oncologist is essential for "dissecting the complicated literature pertaining to aspirin within a selected cancer type," said Pal, a spokesman for the American Society of Clinical Oncology. 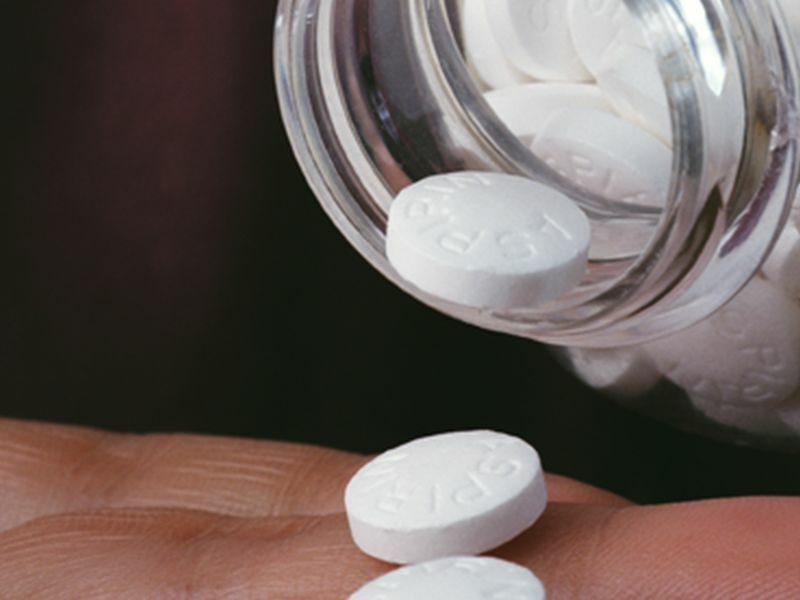 Dr. Peter Elwood, the lead researcher on the review, agreed that cancer patients should be aware of aspirin's potential risks. But he also emphasized the potential benefits, even though the evidence is not yet definitive. "We hold strongly that it is the right of patients to be given the evidence on risks and benefits, and to be encouraged to make up their own mind about prevention, and about treatment," said Elwood, an honorary professor at Cardiff University in Wales. There is strong evidence that low-dose aspirin -- usually considered 81 milligrams -- can help prevent certain cancers, particularly colon cancer. In fact, recommendations from the U.S. Preventive Services Task Force say that certain adults in their 50s and 60s may want to consider taking a daily low-dose aspirin to reduce their risk of colon cancer. There has not been as much research on the role of aspirin during cancer treatment, Jacobs said. And so far, the evidence has been "mixed," he pointed out. That's what Elwood's team found when they pulled together the 47 studies for their analysis: Some studies found that aspirin users had better survival odds over several years, and others did not. Still, when the researchers combined the results of 11 studies of colon cancer patients, aspirin use was linked to a 24 percent lower risk of death from the disease. The results were weaker when it came to breast and prostate cancers. But overall, aspirin users had an 11 percent to 13 percent lower risk of dying from the diseases, the researchers found. According to Jacobs, it is "biologically plausible" that aspirin could help treat certain cancers, based on lab research. Aspirin inhibits blood cells called platelets, he explained, and there is evidence that "activated platelets" can encourage some tumors to grow and spread. Still, Jacobs stressed the need for definitive research before anyone can recommend aspirin as a cancer treatment. For certain people, such as those with a history of stomach ulcers, he said, "aspirin might do more harm than good."